You know how it is. You need some advice right now for your planted aquarium. And it’s midnight or Sunday morning and your local store isn’t open, so you Google your question and then get lost in the endless chatter of the various aquarium forums online, which often turns out to be (no offense) uninformed people advising other uninformed people. Or, conversely, really well-informed people belittling the newbies. Rex’s Planted Tank Guide: Something seems to have happened to Rex, who hasn’t posted anything on his site in over a year, at least as far as I can tell. But he has easy to understand information and a blunt style of communicating that I really like. For my first two small planted aquariums, his site was my go-to place and he kept me from making a lot of dumb mistakes. Plus he lives in Portland, Oregon, just up the highway from me. 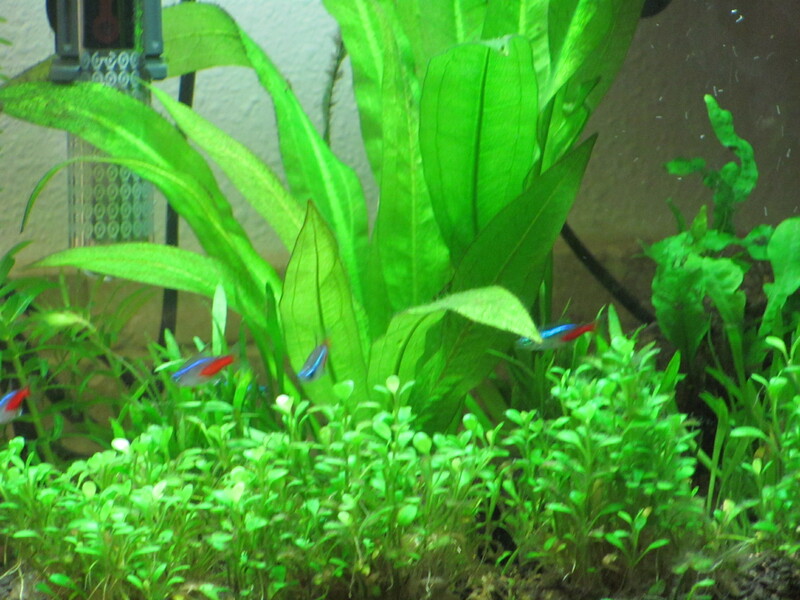 The Barr Report: Good information in those forums, although it helps if you know a little something about planted aquariums before you venture in. If you don’t, definitely start on their “new to aquatic plants” forum. It’s weird how I always feel both inspired and yet kinda stupid after my visits there. 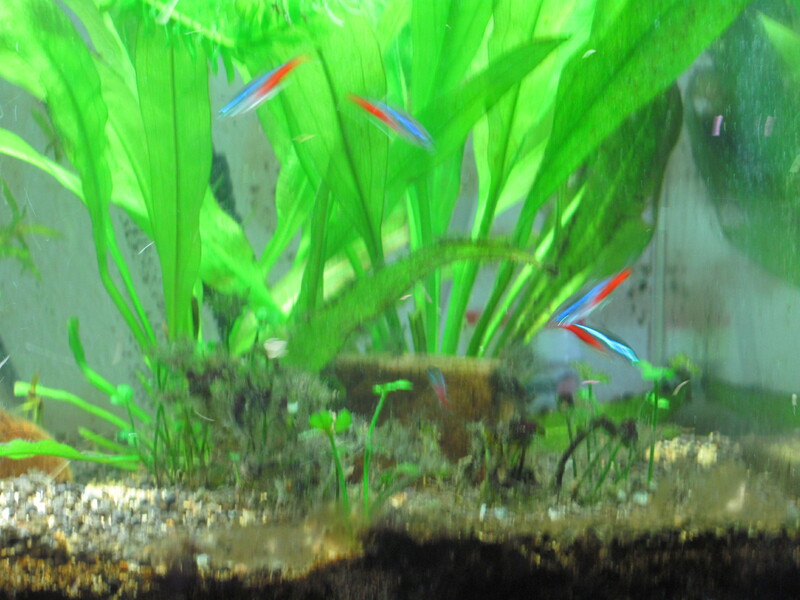 The Green Machine: The website for a planted aquarium store in Wales. I’m so crazy about this web site, I actually want to visit Wales just so I can check out the bricks and mortar store. I learned about them after stumbling on this great how-to video which was helpful to me and they’ve got a tips section that I’ve used. The advice for how to spruce up my aquarium was great. Only one caveat: a lot of the advice centers around the products they sell (buy this! it will help you! ), but they are merchants, after all. 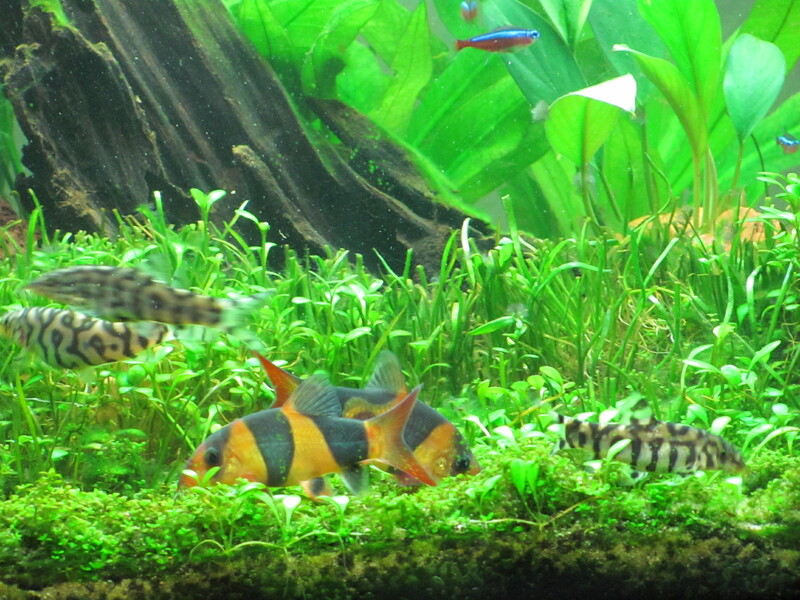 Clown loaches and yoyo loaches in my 40 gallon ADA rimless aquarium (a few cardinal tetra in the background). 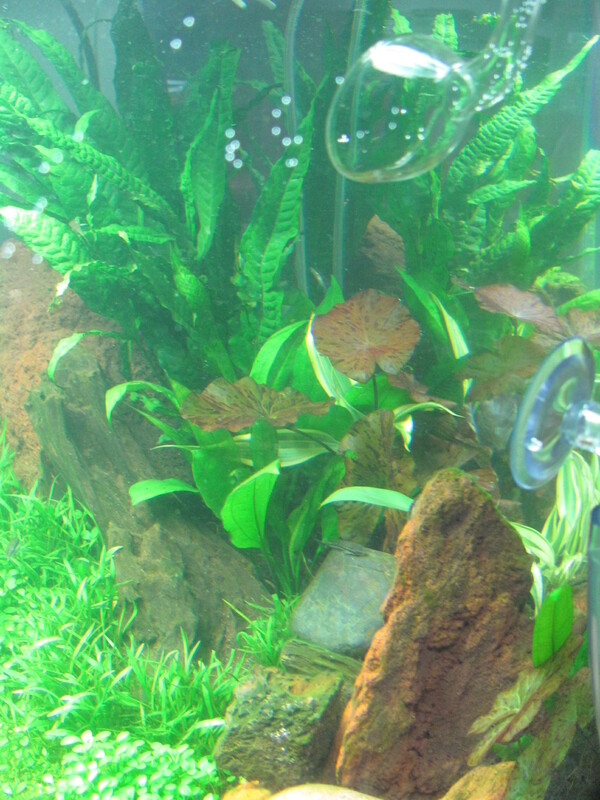 The yoyo loach that had been near death is on the right, recovered now and happily rooting through the glossostigma and Hemianthus callitrichoides for bits of food. So here’s what I have learned since setting up this tank in early February. If you want a pristine “lawn” of low-growing plants, like the most excellent HC, do not under any circumstances have loaches in your tank. They dig in it, sending up small clouds of sand or dirt or whatever the planting medium is. They uproot HC whose roots are quite delicate. If you are fantasizing about one day having a perfect Takashi Amano style tank like this, you will be unfulfilled. On the other hand, if you are not a perfectionist and you enjoy the livestock as much as you do the plants, go for it. 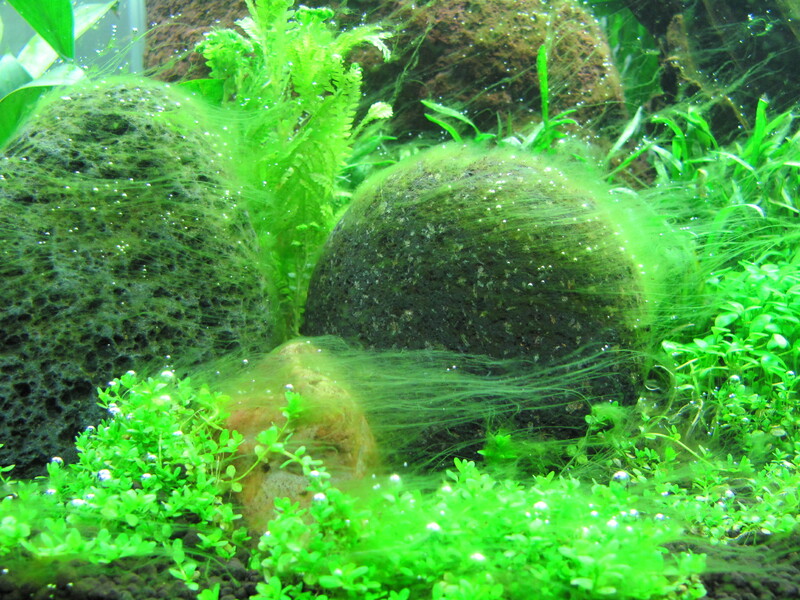 The more robust glossostigma can stand the abuse and appears to be thriving despite the fish. Because I overplanted the HC, it hasn’t completely disappeared, although I do fear for it longterm. 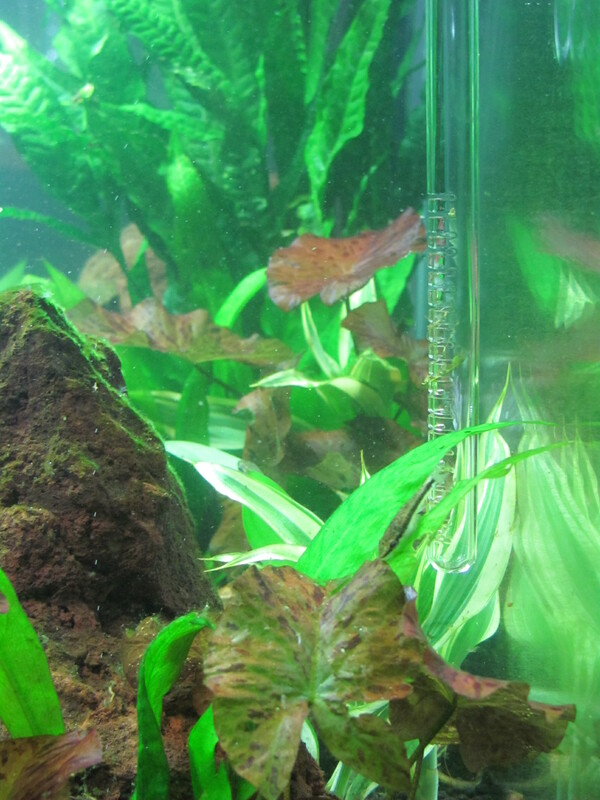 I have enjoyed this well-lighted tank, a sunny summer landscape during the last couple of rainy chilly weeks.